DMOD have been involved in Adamstown from the inception of the project, acting as consultants to Castlethorn Construction and assisting Metropolitan Workshop in the preparation of the 2006 Design Guidelines from which Adamstown Central has evolved. 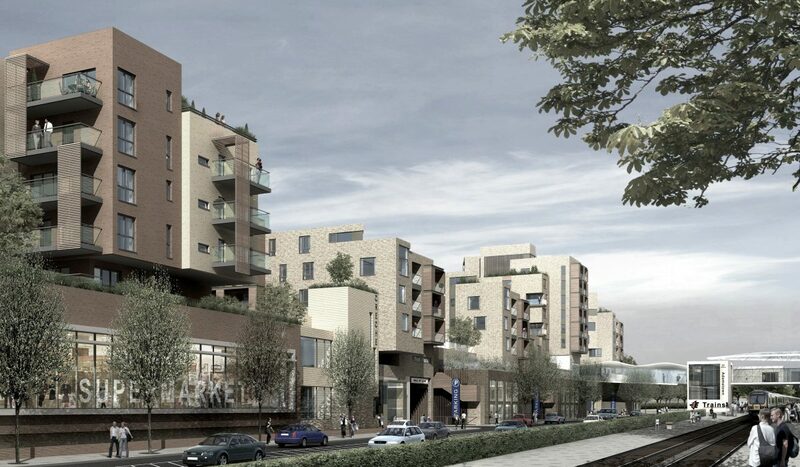 Following on from this role, DMOD were selected to design The Terraces. 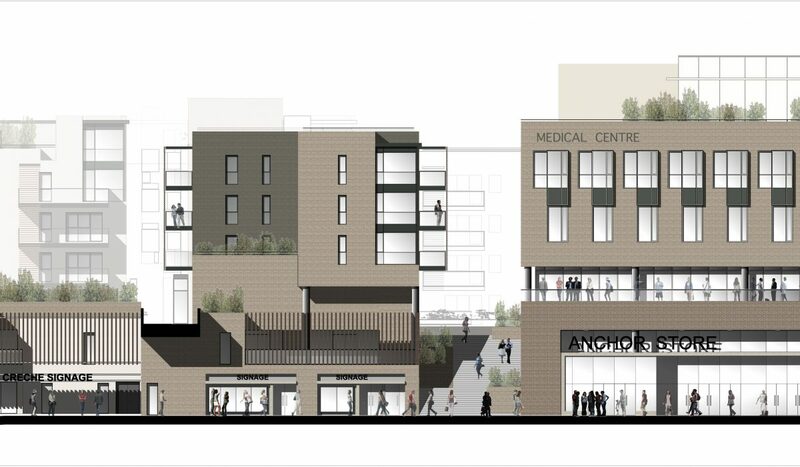 Accommodating a diverse range of building types including the Adamstown Primary Care medical centre, a large grocery store, apartments and the Adamstown Central creche the site forms the western edge of the public realm at the heart of the town. In essence, the scheme consists of a podium formed by a broad mix of uses on which the residential and healthcare elements are located. At this upper level, four apartment buildings and the medical centre are arranged to form a pair of south-facing shared landscaped areas. 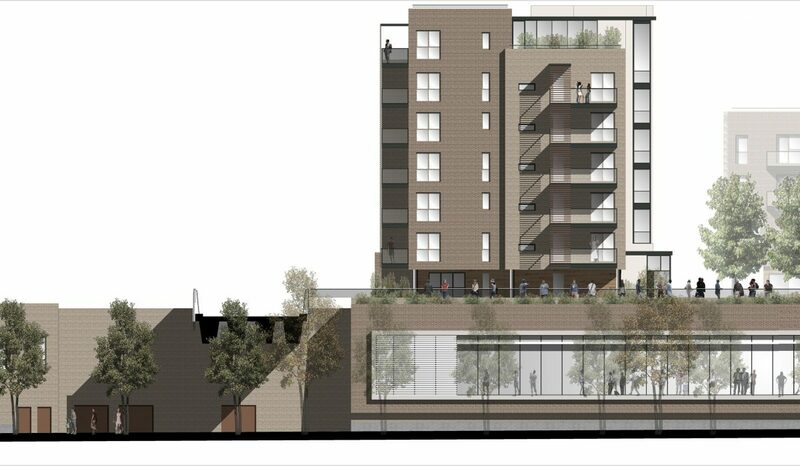 Both are accessed from a public walk that allows access across the site from West Place to Bridge Road beyond where future development will ultimately link through to a park along Stream Road. A series of small ground floor offices open onto this space providing space for businesses related to the health centre across from them and helping to ensure a level of activity during the day. 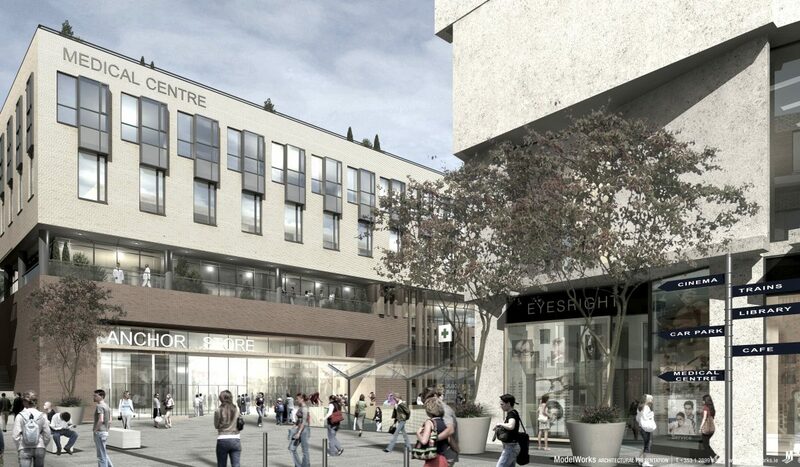 South of this spine of offices, a second pedestrian route connects the southern landscaped space with Station Quarter and the Adamstown train station beyond via a series of further gardens and landscaped spaces at the upper levels of both schemes. 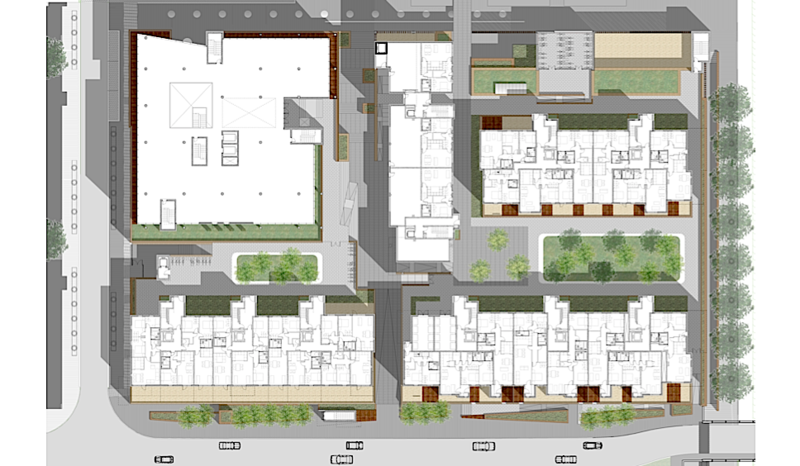 Below, wrapped around the supermarket at the centre of the site serving Adamstown Central and the outlying area are a variety of retail and community support uses accessible from the streets or cut into the podium. Along Creche lane and Main Street West, residents of the Adamstown Central find facilities and local shops catering to their day-to-day needs.